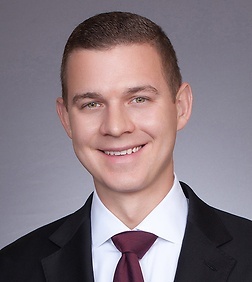 Michael Hopkins is an associate in the Intellectual Property Practice Group in the firm's San Diego (Del Mar) office. Michael advises and represents clients in all areas of intellectual property, including litigation and prosecution of patents, trademarks and copyrights. Michael has litigated patent disputes in various federal district courts, including California, Delaware, Minnesota, and Indiana, as well as at the Federal Circuit in areas ranging from transistor manufacturing to in-home gates. He has also helped manage clients’ patent portfolios both in the United States and abroad. While in law school, he served as an Executive Articles Editor of the Brooklyn Journal of Corporate, Financial and Commercial Law. Michael also worked in the Brooklyn Law Incubator and Policy Clinic, where he provided pro bono patent prosecution services.